At The Dark Horse we have been painting furniture for quite some time so we decided to carry a dedicated line of high end furniture paint for our customers. We tried them all. Chalk paint, milk paint, homemade recipes and high end brands. After extensive research we made our choice. 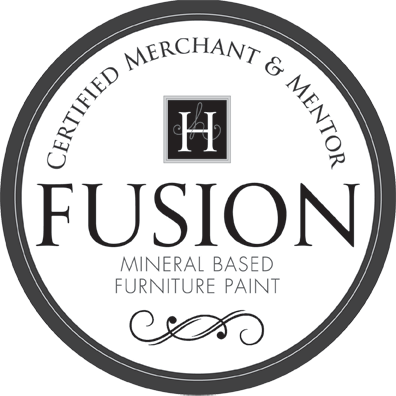 Made in CanadaFusion’s results are incredible, providing furniture painters a best-in-class paint that features; an environmentally conscious formulation, zero VOCs, superior durability, easy one-step application and significantly improved strength. Delivering an exceptional matte finish, this 100% acrylic paint requires minimal prep work! 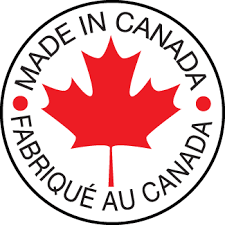 If that isn’t enough, it is also a Canadian company! 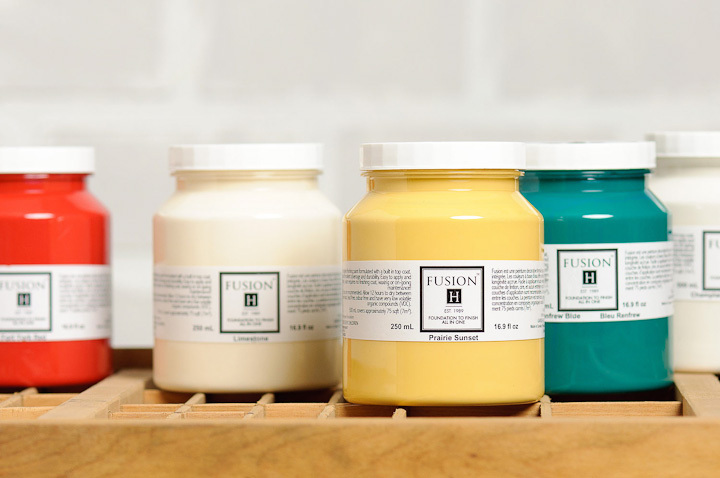 Check out all of the colours that Fusion offer. Application: Follow the directions carefully and Fusion can be applied to most previously painted or coated surfaces without priming or significant prep work. Prep: Start right, end right. There is no paint on the market that is totally prep free. A light sanding and a quick wash with TSP is all that is needed for most projects. If you are painting over very glossy or oil based paints, only then is an initial coat of Fusion’s Ultra Grip needed. You project will only turn out as well as your surface was prepared. No top coat? 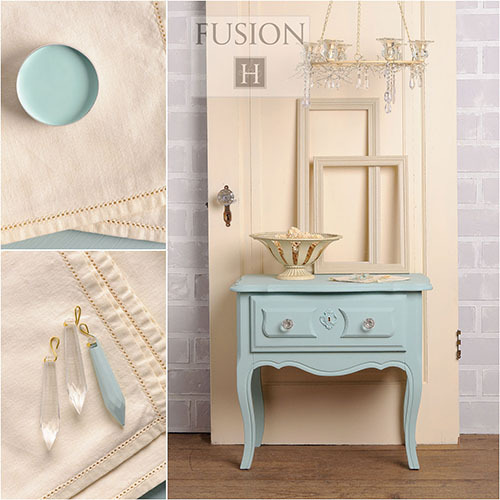 : Fusion is formulated with a built in top coat, the 100% acrylic resin. You do not need to use a top coat for water permanency! Coverage: Excellent coverage! 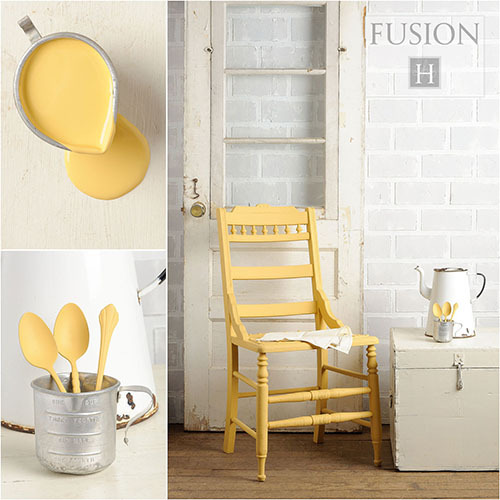 Fusion paint offers incredible coverage of 75 sq ft per Pint(500ml). In most cases one coat is all you need. Our coverage is outstanding!